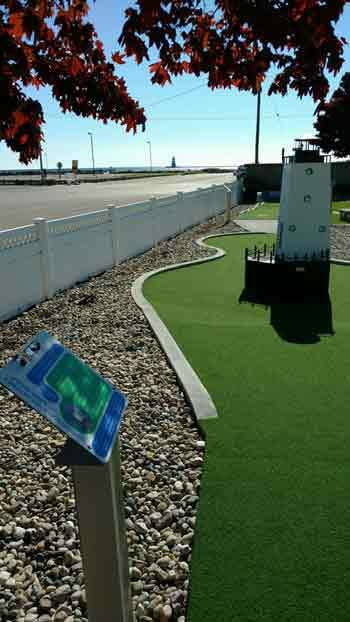 The Ludington Area Jaycees Mini Golf Course has been a popular place in the summertime, as residents and visitors alike enjoy a round of mini golf right at the Stearns Park Beach overlooking Ludington's North Breakwater Lighthouse. 2018 admission cost is $7 for those ages 13-55, children ages 6-12 and Seniors over 55 are $5 each, and children 5 and under play for free. Group rates are also available and each member of a group party from 10-19 people receives $1 off regular admission per person. Groups of 20 or more receive $2 off regular admission per person. Season passes are available for $125 which includes 30 rounds of mini golf. 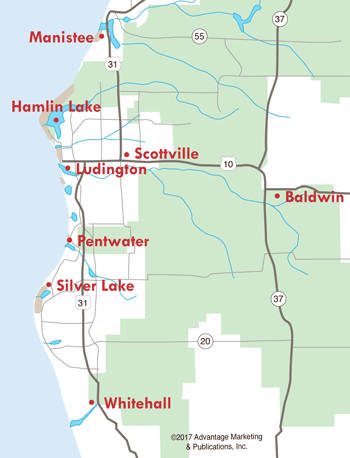 Some of the major projects the Ludington Area Jaycees Mini Golf Course has supported over the years are: banners for the Downtown Development Project, a birthing room at Spectrum Health Ludington Hospital, Copeyon Park Fish Cleaning Station, Ludington Recreation Soccer Field on Bryant Road, Mason County Recreation Football, emergency equipment for Ludington Fire Department, Waterfront Park Playground, Stearns Park Accessibility Walkways, Ludington and Mason County Central High School’s Music Departments, among many others. As part of the Ludington Area Jaycees Mini Golf mission, the course donates 30% of profits each year back into other non-profit organizations and initiatives in the community. One way the group accomplishes this is through "Charity Mondays" where various organizations get 30% of profits on Mondays throughout the summer. 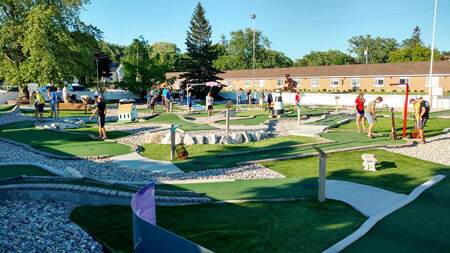 By 2015, time and elements had taken their toll on the Jaycees Mini Golf Course so the Jaycees pursued a complete overhaul of the course at that time. With the help of state grant funds and sponsorships the course has been completely revitalized with the hopes of bringing in more money to be donated back into community projects. A new theme, talked about by the Jaycees for several years, has been implemented on the renovated course and encompasses educational and historical obstacles and highlights local attractions. The Landmarks of Ludington theme fits in with other community efforts which focus on the rich history of Ludington and Mason County. The renovation project was the beneficiary of the 2016 Lake Jump and the club has also received a $45,000 grant from the Passports for Recreation Program through the Michigan Department of Natural Resources. 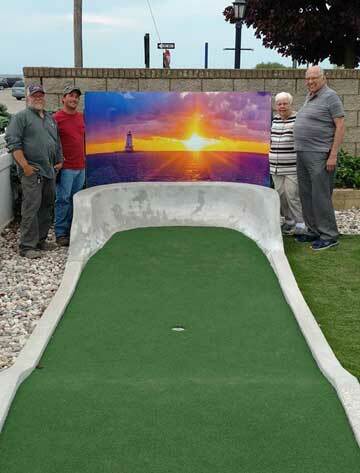 A few sponsorship opportunities for the Ludington Area Jaycees Mini Golf still remain. For more information, contact Mini Golf Chairperson Mary Burden at (231) 690-2020. General monetary donations (with checks made payable to Ludington Area Jaycees Mini Golf) can be sent to: Ludington Area Jaycees, c/o Mini Golf, P.O. Box 411, Ludington, MI 49431. Want to learn more about the Ludington Area Jaycees? Visit www.ludingtonareajaycees.org, e-mail info@ludingtonareajaycees.org, or visit facebook.com.